The Residence Inn by Marriott Carlsbad- North San Diego is an ideal choice. Whether youre visiting for work or play, youll love our location. Minutes from LEGOLAND, Carlsbad Village, Premium outlets, local beaches, as well as local businesses such as Thermo Fisher, Medtronic, TaylorMade, ViaSat and many more. 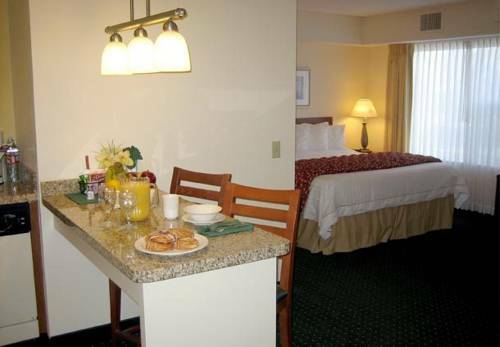 Our all-suite hotel is just what you need to maintain your normal pace during extended stays. Prepare a meal for family and friends in the fully equipped kitchen. Keep in touch with complimentary Wi-Fi, Enjoy a full hot breakfast and return to our social hour with complimentary light fare and drinks. Other nearby San Diego area attractions such as the Crossings at Carlsbad, San Diego Zoo and SeaWorld are a quick drive from our hotel. The McClellan/Palomar Airport (CLD) is just one mile away allowing quick and easy access to Vista, Carlsbad Business Park and Camp Pendleton. At Residence Inn, we'll make sure you thrive during your stay.